Learn why you're so much more sensitive to stress and anxiety in menopause - oh and did I mention depression, brain fog, and mood swings?? So if you’ve started thinking that leaving your home and family and job to live in a house in Italy or greece for a year sounds really good and like the only way to avoid biting someones head off, or going into a depression you’re in the right place. How many of you right now are struggling with depression, irritability brain fog, or anxiety? Maybe you’ve tried to stay upbeat while dealing with the little annoyances and stressors you used to be able to handle.. but nothing seems to work? A woman said to me that when she walks into a room now her family gives you this look - like which one are you - the sane loving mom and wife we’ve always had or the crazy one who yells and cries for no reason and who keeps showing up out of the blue all of a sudden? At the end of this training I’m going to invite you to sign up for a FREE copy of my Guide to taking charge of menopause with natural remedies - so you can learn even more about how to manage stress during menopause. I’ll give you more details later, but for now, let’s get started! YES! You're more sensitive to stress and anxiety in menopause - find out why! One minute I'm laughing the next I'm crying. My mood swings are so bad I yell at the top of my lungs. I have this uncontrollable urge to cry all the time. The littlest things bother me now and I no longer can bite my tongue. I can wake up in a good mood, then 30 minutes later I want to cry and scream for no reason..
My family suffers because of my massive crazy mood swings - I go from a great mood, right into psycho in the drop of a dime. I wish I knew how to control them and get menopause mood swing relief!! This is so common because - chemically - and physically - you ARE more sensitive to stress during menopause!! THE FACTS: Changing hormone levels during perimenopause and menopause - and lower hormone levels after menopause - make us more sensitive to stress. Plus menopause itself - the hot flashes and trouble sleeping - can be stressful. So we have a new stressor in our lives and we’re more sensitive to stress. Lets talk about WHY IT HAPPENS: Progesterone and Estrogen are two of your biggest female hormones. Progesterone especially - works against and BUFFERs the effects that stress has on our body and mind. Progesterone makes you feel warm and calm - kind of mellow and happy to go along with what everyone else needs. Progesterone and estrogen levels go down during menopause. As progesterone and estrogen levels go down during menopause - that buffering effect against stress that they have - declines -and so we feel stress more easily and more intensely. It’s like your nerve endings are more exposed. And after menopause - you still have hormones! If you’re healthy and have healthy ovaries and adrenals your body still makes still estrogen, and progesterone - they’re still there - just at much lower levels. but they’re still helping buffer stress. But there’s more - especially if your wondering how do long menopause mood swings last - or wondering if you’ll have post menopause mood swings. But - the adrenals also make stress hormones... So, when you’re under stress - the adrenals always choose to make stress hormones instead of making progesterone and estrogen. So after menopause - the more your stress hormone/cortisol level goes up the more your remaining progesterone declines - making your stress feel well - more stressful. and it messes with your body's ability to make what hormones it needs when it needs them - so its MUCH HARDER FOR YOUR body to keep hormone levels balanced with each other. you feel more easily irritable, overwhelmed, anxious, & depressed. Also common are depression, weight gain, exhaustion, insomnia, and foggy thinking. Often women are offered anti-depressants or anti- anxiety meds when this hits - and they don’t realize there are great natural things you can do to help get to the source of the stress!! What I want you to do is help your body balance hormones - keeping stress hormones level slower - and keeping progesterone levels higher - you can naturally reduce your stress, your sensitivity to stress. Waiting it out and doing nothing can backfire - because it can lead to a cascade of negative effects to take place - letting your progesterone and est levels get too low is not only bad for stress - you lose health protective and anti-aging benefits. gaining weight around the middle actually increases stress hormones levels and cravings and decreases your feelings of fullness and satisfaction after eating!! What you want to do instead is balance your hormones naturally - this will decrease stress hormone levels, increase female hormones levels, decrease your sensitivity to stress, and help your body balance all your hormones with each other! If you enjoyed this video, then I invite you to CLICK RIGHT HERE and sign up for your free copy of my Guide to taking charge of menopause with natural remedies. 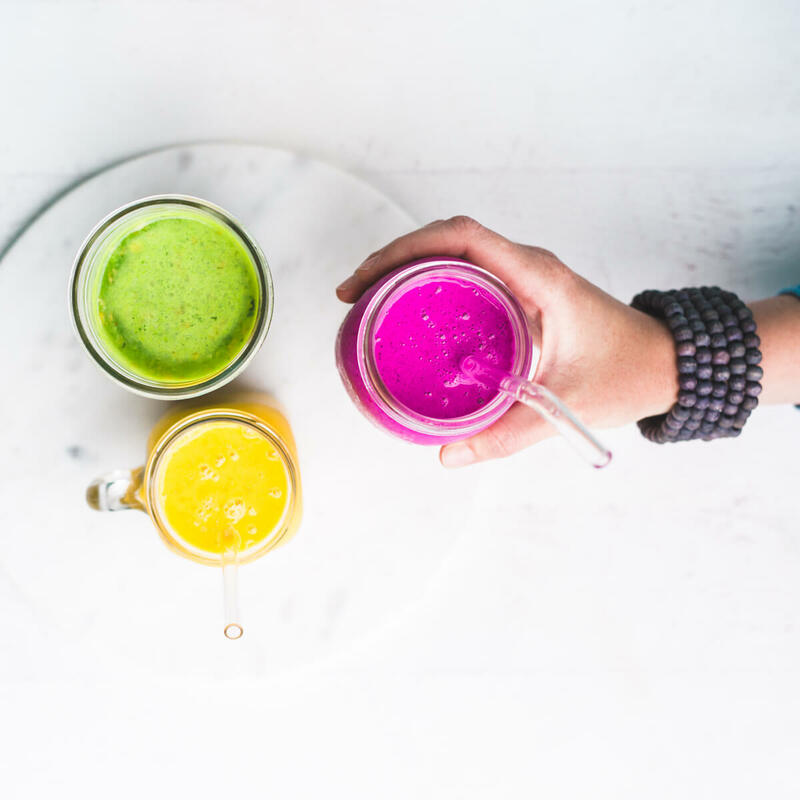 This guide will help you start balancing hormones naturally with 3 of my favorite, most powerful natural remedies. I’m also the host of a Facebook group called menopause basics - CLICK HERE to join. Thanks so much for joining me today! NOW id like to answer some questions that have come in - and if you have a question - pop it into the comments right now. Hi, I'm Dana, an Acupuncturist, Herbalist, & women's health expert. My passion is helping women use effective natural remedies for menopause relief and gorgeous aging. Today's info is all about understanding why stress management is so important for hormonal balance and menopause relief - it's part of Lifestyle. Be sure to check out future videos where we talk about the different natural remedies that are key for managing stress hormone levels during menopause. Want to manage some stress RIGHT NOW? When you're ready for more - Click Here to check out this other video I did teaching another one of my favorite 2-minute meditations for hot flashes - it's an acupressure ear massage with essential oils that you can do on yourself anytime, anywhere!! And when you're ready to start creating your magical COMBINATION of natural remedies - get the FREE guide below. It'll get you started with my TOP 3 natural remedies for menopause you can do at home - why not start today? AND GET HELP understanding all this scienc-ey hormone info? Oh and please make my day and pop in the comments below and let me know how your mood and stress are doing and how you like this video. And don't for get to hit the share button to let your friends know about this great FREE guided mediation technique too. I am 57yrs old and i became menopausal since i was 49yrs. I have had nightmarish experiences with menopause ranging from hot flushes, insomnia, night sweats,palpitations and racing pulse. Two years ago, i suddenly developed lightheadedness with brain fog and lack of concentration. These three symptoms abated after two months. I was free for about one year plus and suddenly started having night sweats, hot flushes, lightheadedness, palpitations. I am very worried and now feel that i am getting stress intolerant. I have quite a busy work schedule and perform a lot of administrative duties. I refused to try HRT because of its side effects. I would prefer to use natural remedies. I do not get easily fatigued. I am not depressed and would not describe myself as having mood swings though i recently like withdrawing to get some rest when the symptoms are bad. Otherwise, i love when i am busy at work as this keeps my mind temporarily off the symptoms . What do you advise? I am planning to consult a Gynaecologist/menopause specialist. Hi Gwesy – This video is really perfect for you. Because you’ve had severe symptoms and have had them for so long, your body is having trouble adjusting – and now it’s having trouble finding a good balance towards the end of your menopausal transition for a while. You want your hormones to balance out at healthy post menopausal levels – and when menopause has been really difficult – this can be problematic and lead to hot flashes that linger for way too many years!! In more cases of really severe and long-lasting symptoms like this – I find no one thing is going to fix the whole problem. Not even HRT. I highly recommend you follow the steps in the video – #1 – the right diet fully optimized for hormonal balance including superfoods (a lot of the Jumpstart will be about this) this sets the foundation for your body to be successful with this. #2 – Lifestyle. We’re not talking about this too much in the Jumpstart.. but when you’re ready I can help you with this as well – it’s about actively managing stress hormones and avoiding the worst hormone-disrupting chemicals – because either of these alone can prevent you from feeling better not matter WHAT else you’re doing. #3 – At this point – my favorite recommendation is find a Chinese Herbalist and see if the herbs will get rid of your symptoms. If not – this is the time to try adding some HRT! (And yes you can do all of these at the same time – but please don’t expect step 3 to work without steps 1 and 2) Does that help?